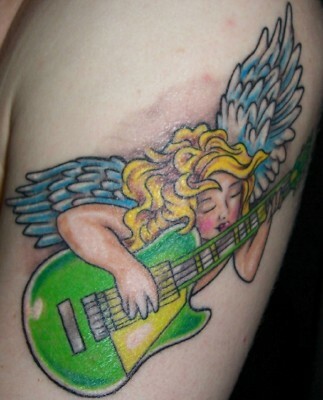 "This tattoo is my first and only tattoo so far. It's Hebrew for 'Truth.' It's Emet, read from wrist to elbow. 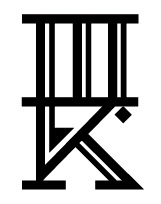 This is also one version of the Kabbalah spell that brings a golem to life. Golems are Jewish protector spirits created by animating clay, imbuing lifeless matter with divine energy. Adam of Eden was the first golem, according to some legends. I designed the art nouveau font myself, and it was perfected and transferred to my body by Roni Falgout at Hidden Hand Tattoo in Seattle, Washington. This tattoo is a prayer for Truth, to be truthful to myself and to others. I got it to commemorate 10 years being best friends with my main man Mykol, to celebrate my MFA and first finished manuscript (which has a lot to do with golems), and to mark my entry into recovery from addiction. It's somewhat ironic that I have Jewish ancestry, which is supposed to make tattoos unacceptable, but my tattoo is in Hebrew as a way of reminding me of those very ancestors. No regrets." here is my body, my rarae aves, my cartography. Evan J. Peterson is author of Skin Job (Minor Arcana Press, 2012) and The Midnight Channel (Babel/Salvage Press, 2013) and volume editor of the Lambda Literary Award-nominated Gay City 5: Ghosts in Gaslight, Monsters in Steam (Minor Arcana Press & Gay City Health Project, 2013). His poetry, fiction, journalism, and criticism have appeared in Weird Tales, The Stranger, The Rumpus, Assaracus, Nailed, Court Green, and Aim for the Head: An Anthology of Zombie Poetry, from which his poetry was excerpted in The New York Times. 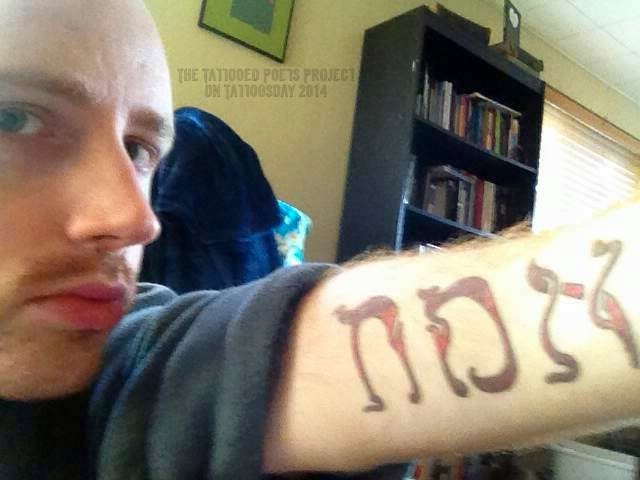 Thanks to Evan for sharing his tattoo and poem with us on The Tattooed Poets Project on Tattoosday!